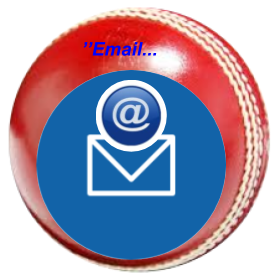 “Full list of charges are on our “e-Booking” page …. 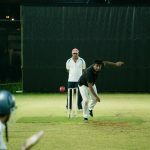 If you have CRICKET PASSION then see our HAVE A GO options below. 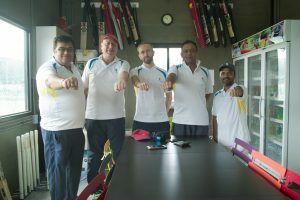 Drinks together with a well stocked Cricket Kit Shop centre. 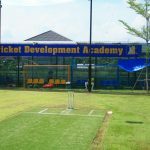 Great for those keen but never find the time to try Cricket again. 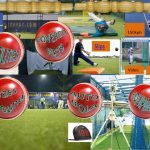 Young or Old just Book a Net and + the Pro BOLA @250B ph then just and turn up and enjoy, maybe share with a few friends a great way to have fun and some exercise. 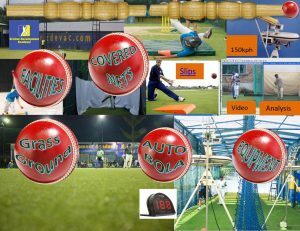 All the equipment is here for you and is all included. 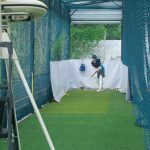 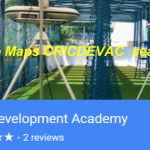 We have not 1 but 2 Internationally Pro Grade BOLA machines with Auto feeder these are a great way to get good batting practice (no wides) This delivers Pace at required line and lengths, In&Out Swing, even spin bowling possible. 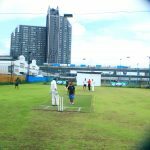 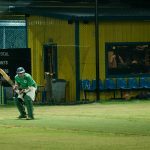 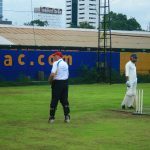 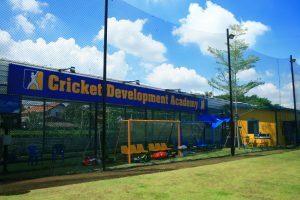 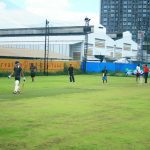 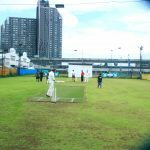 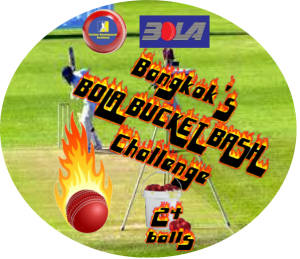 We have been seeing how we can have a BIG BASH type league to find out the biggest hitters in Bangkok. 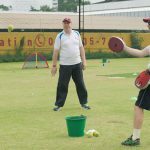 We have Internationally Qualified Coaches available which have many great Top Level International Philosophy coaching ideas for you to share. 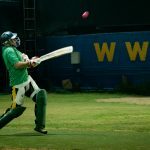 Great World wide ideas many excellent you tube videos in our own channel collection. 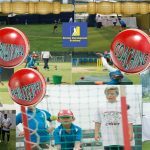 1on1 small groups to large classes including after school clubs. 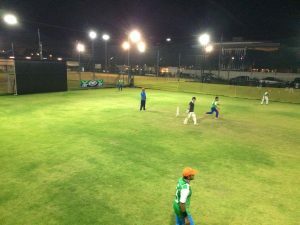 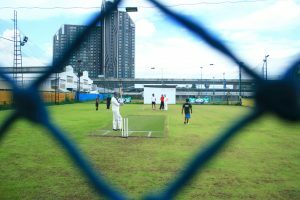 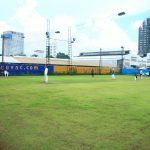 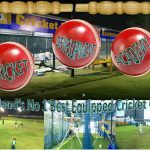 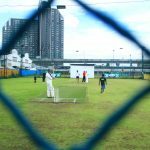 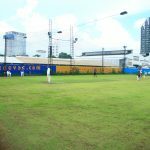 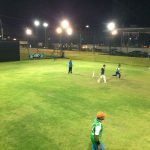 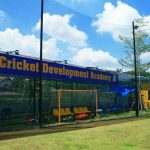 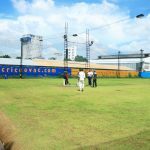 We have a Grass Caged Cricket Arena for hosting Hospitality, Social, and Competitive games. 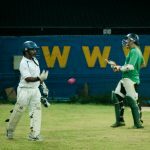 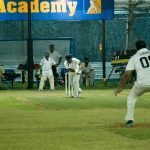 With a hard ball batting wicket, Day Night option, it is a great way to test your Team playing skills, Expand Business social networking. 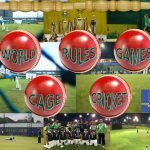 International World Rules Cage Cricket Tournaments. 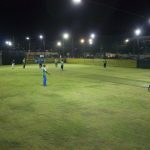 All Live Video stream available, Umpires, Electronic Cloud Scoring, Rule Sets all ready to play. 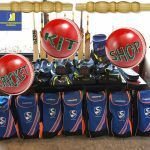 Even the playing kit is available to make the event as easy as possible.